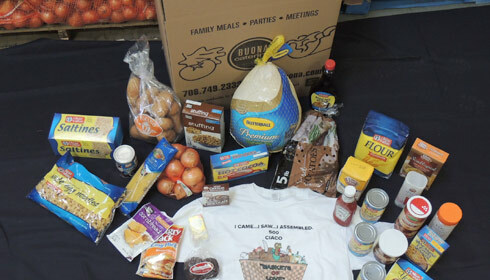 Every November, CIACO members, their families and friends gather at the ReNu in Glendale Heights to assemble 600 crates, containing approximately 50 pounds of food, including a turkey. Funds and food items are donated by personal and corporate sponsors. Local churches, shelters and other charities reserve crates they require to be delivered to families in need. Any donations are welcome! Please use the Donate/Pay form on the right. Please use this form to send a donation or to make a payment.